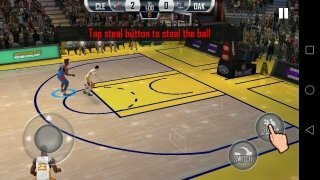 Sometimes, sports game try to cover so many aspects that they end up being too overwhelming, to such an extent that they forget about the most important thing: the playability of the game and entertaining the gamer with the most stunning moves. 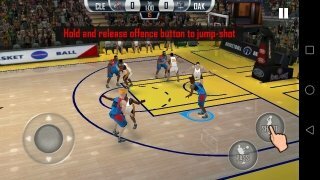 We usually see so in football games but also in basketball titles and that's why we can't stop praising games of the likes of Fanatical Basketball for Android smartphones and tablets. 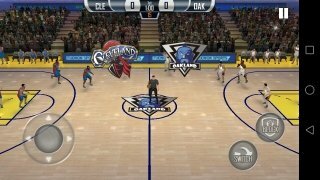 A great alternative to NBA 2K17 and NBA Live 2017. Once we download its APK, we can forget transfers, signings, strategies, tactics and all the merchandising that revolves around the best basketball league in the world, the NBA. 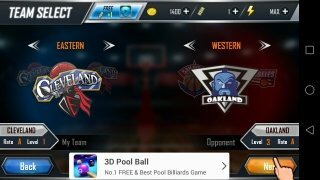 We'll simply focus on enjoying each match to the max, trying to the most stunning moves, including blocks, dunks, and three shooters to guarantee our victory. 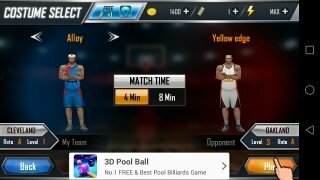 How to play Fanatical Basketball? 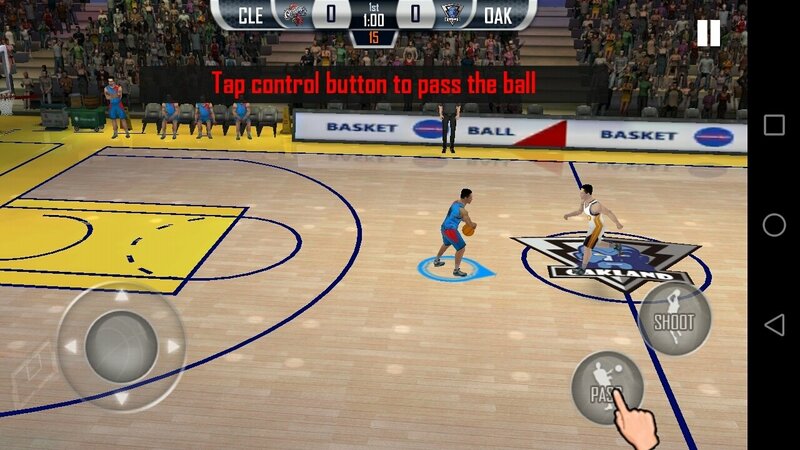 There's not much to unveil about playing this basketball game for Android. 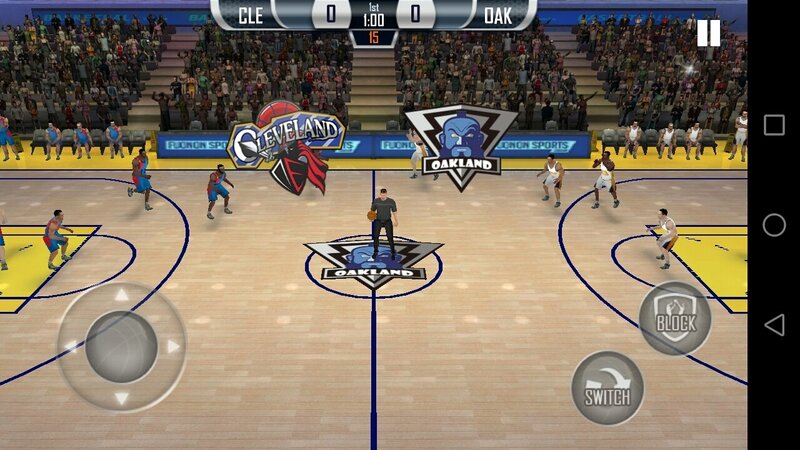 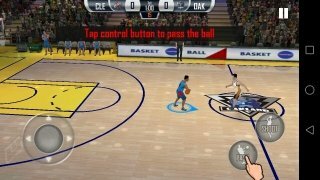 Once you've chosen your team, the name of which will remind you of an NBA franchise, and selected a game time length, simply use the on-screen virtual controls to play: a virtual joystick to move around the court and two buttons that will change depending on whether you're attacking or defending. 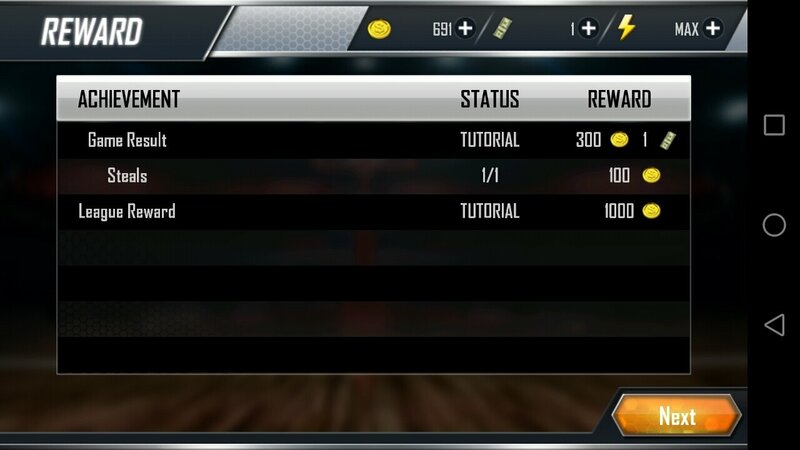 In attack: pass and shoot. To shoot you have press the button and let go at the right moment to increase your chances of success. 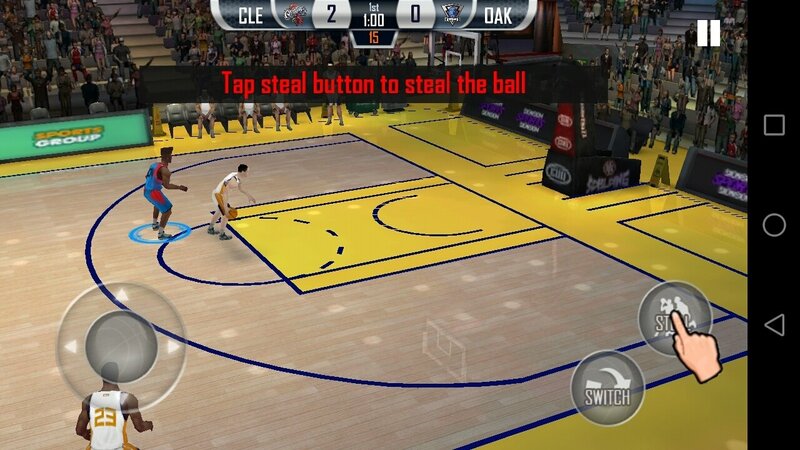 In defense: switch player and steal. To steal the ball you'll have to place yourself next to or behind a rival player and press this button as many times as possible. 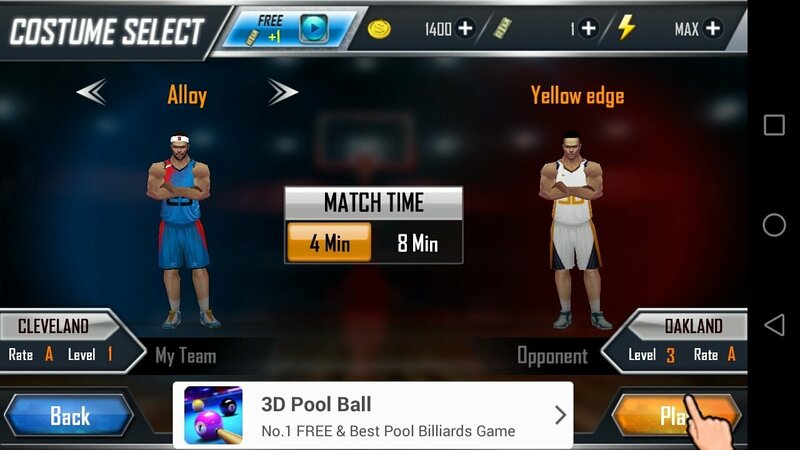 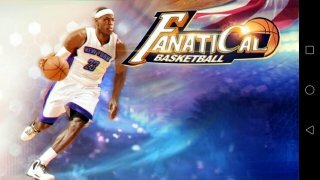 All the latter in a 3D environment with stunning graphics and in which you won't need to resort to hacks or cheats to win your matches in this tremendously addictive and immersive basketball game.